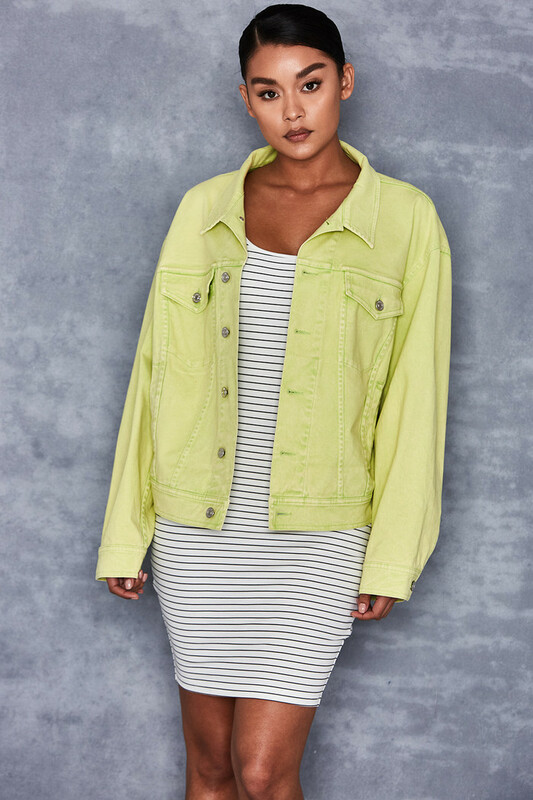 We've updated this classic with up-to-date oversizing and featured it in our favourite denim colour. 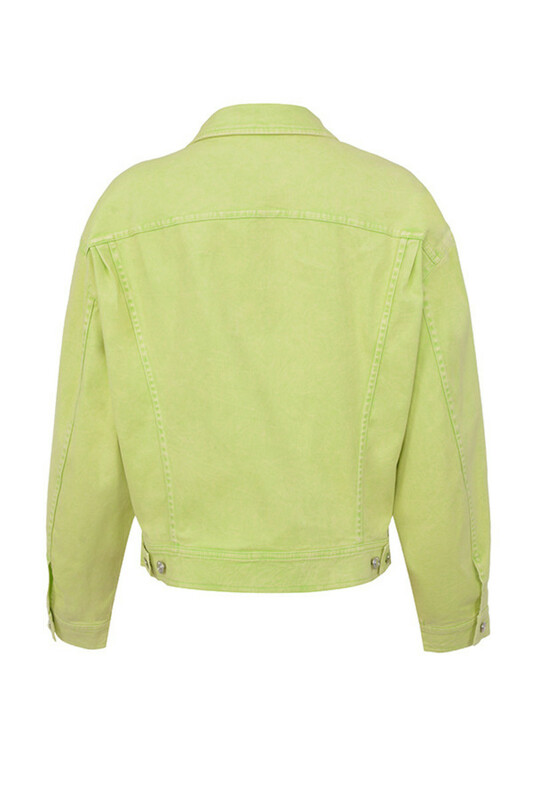 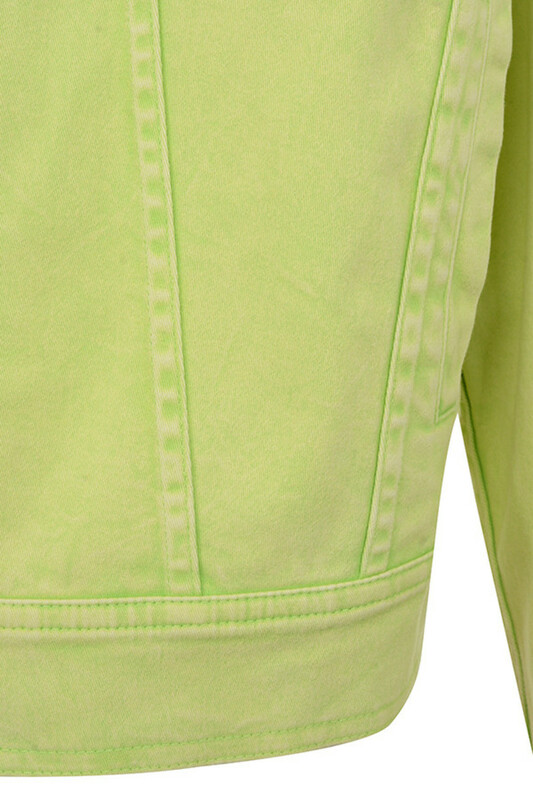 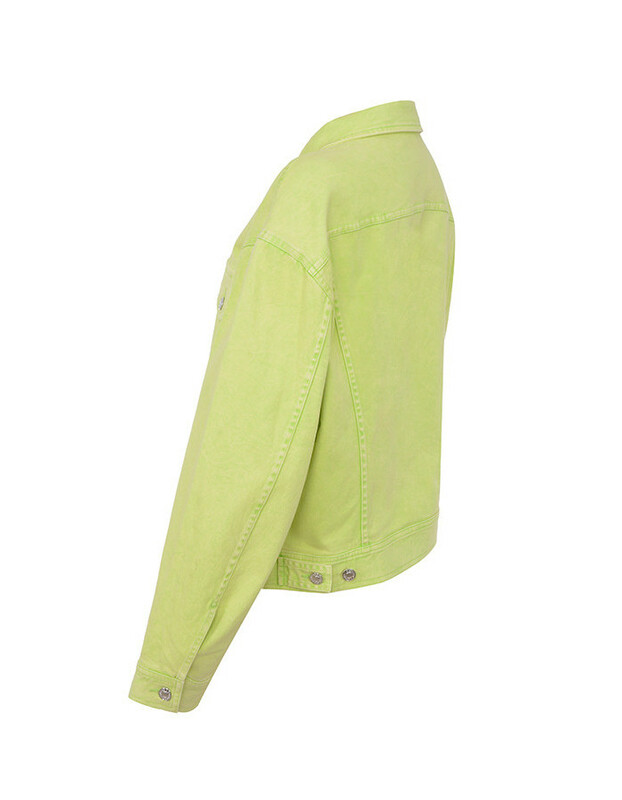 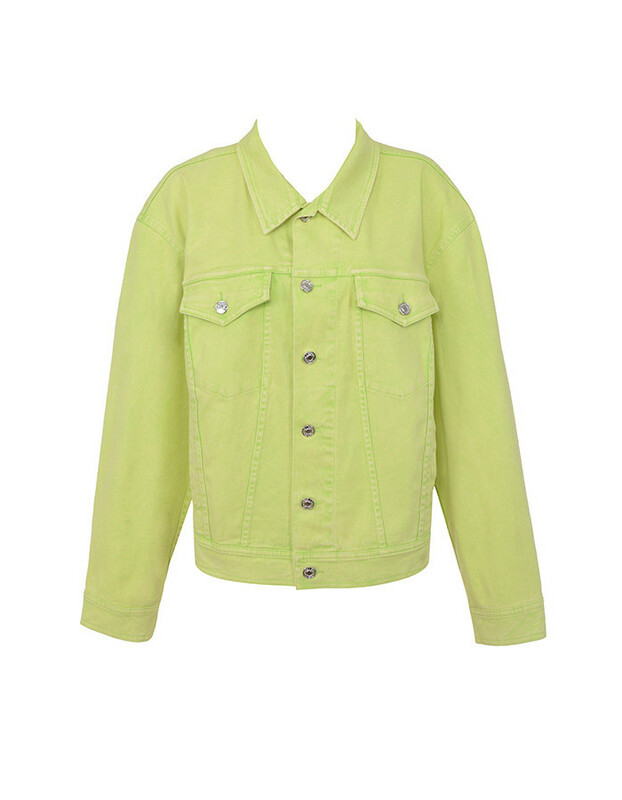 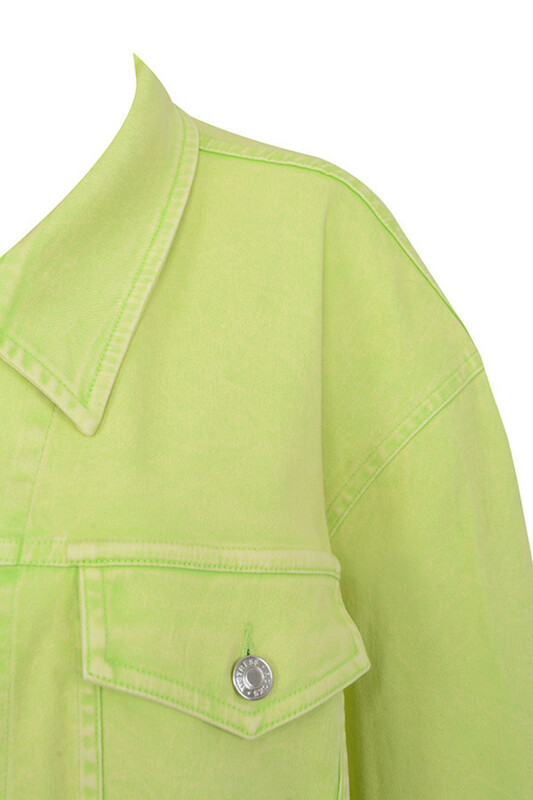 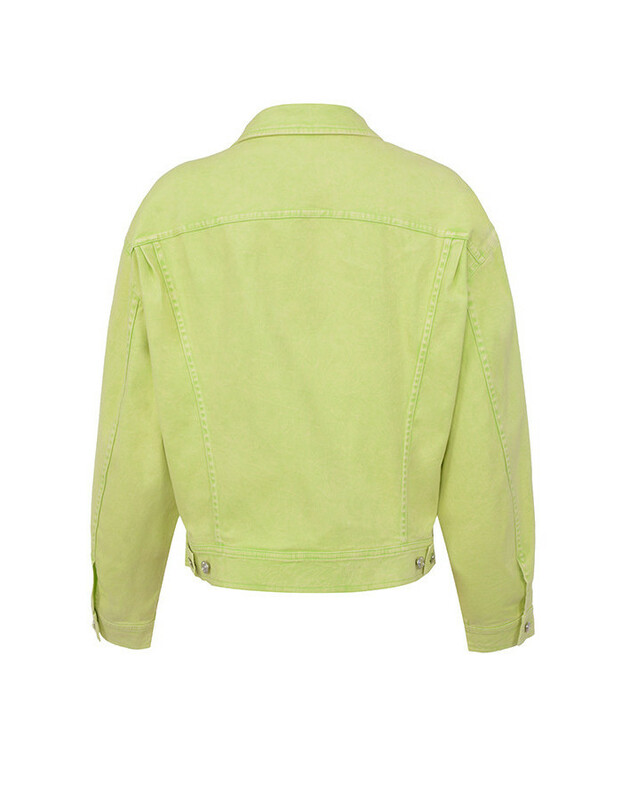 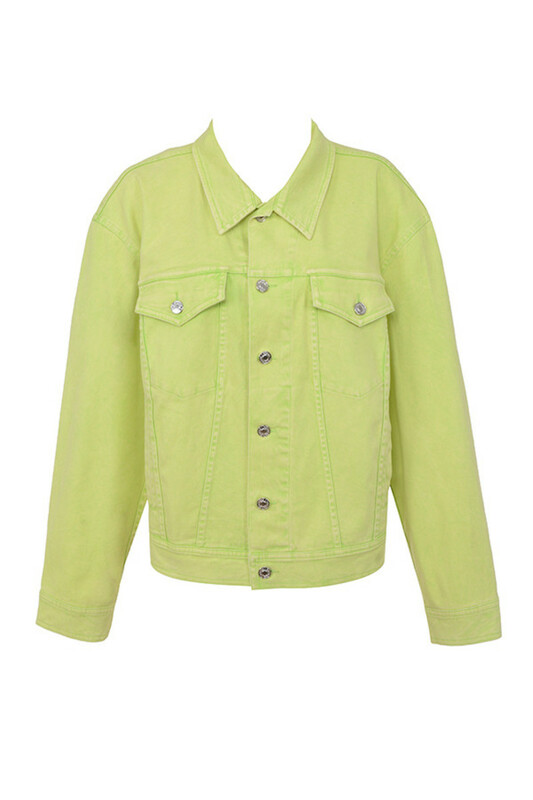 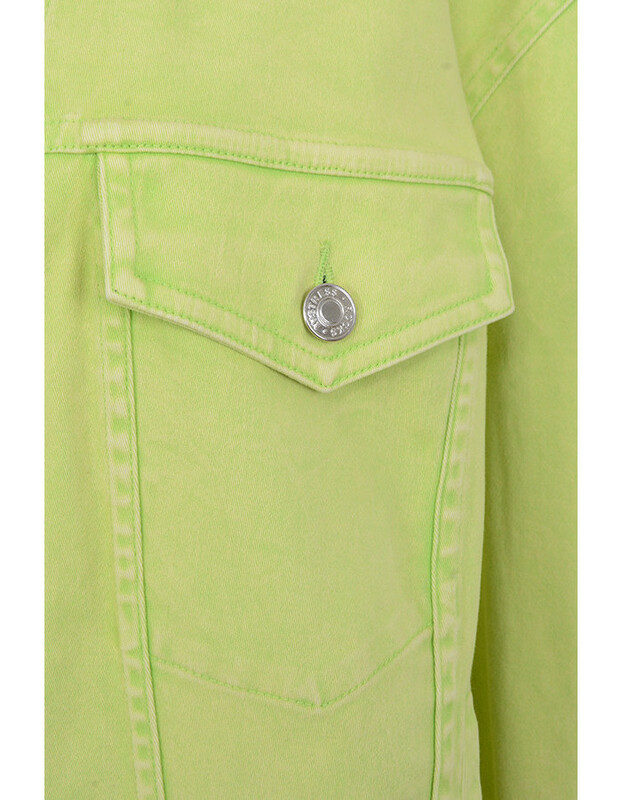 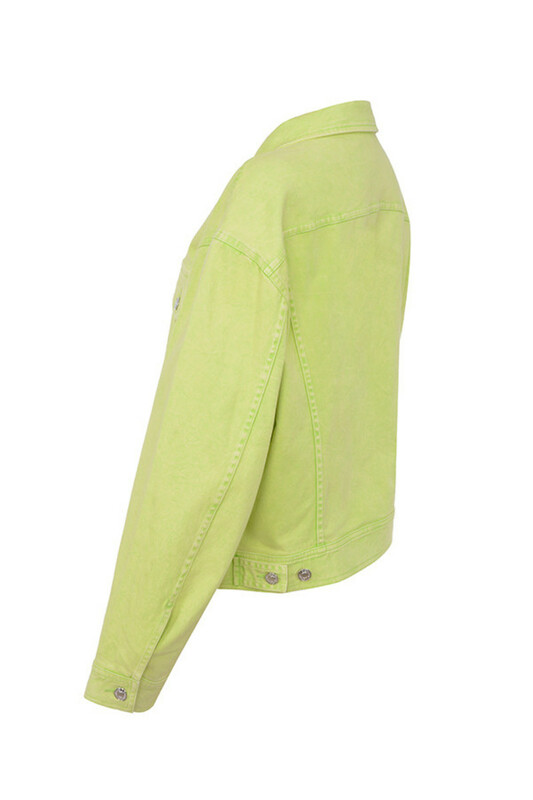 This neon green denim jacket looks great thrown over a tonel bodycon dress and high boots. 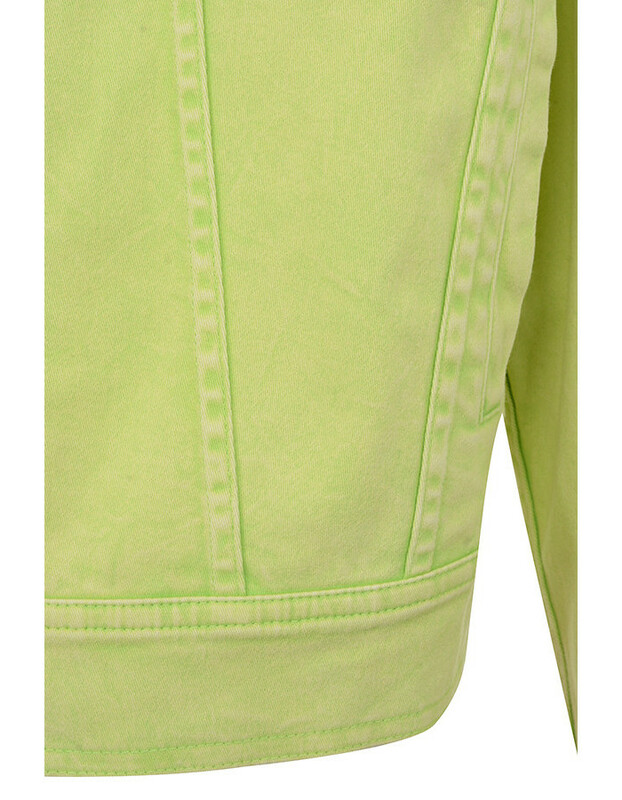 Breast patch pockets and classic fastenings finish the look. 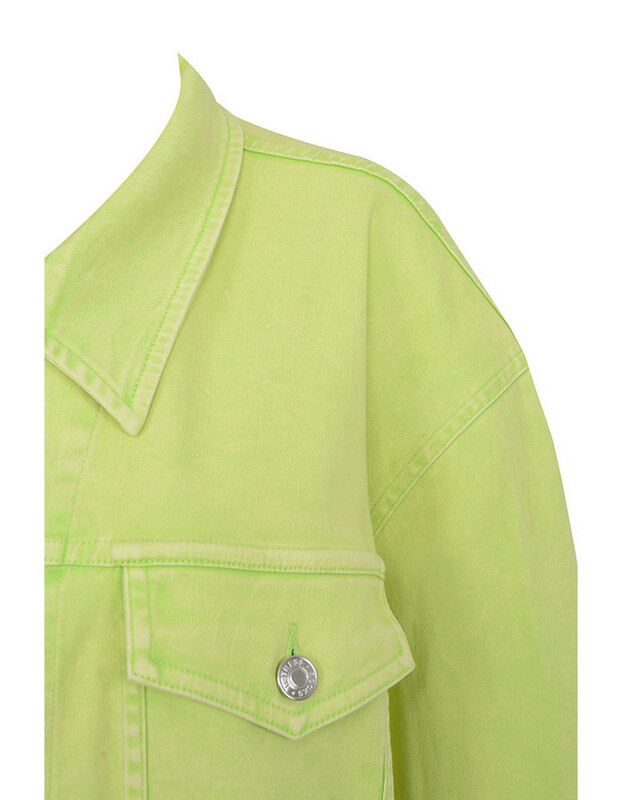 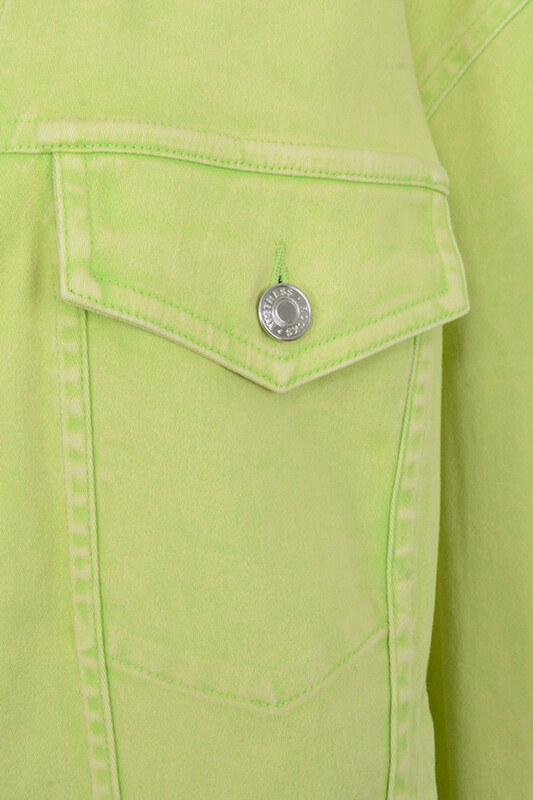 Made from neon green denim.